Interesting question. Actually, there is still no internationally agreed definition of terrorism. According to wikipedia : „Common definitions of terrorism refer only to those acts which are intended to create fear (terror), are perpetrated for an ideological goal (as opposed to a lone attack), and deliberately target or disregard the safety of non-combatants.“ The word, and concept of „terrorism“, appeared in France after the 1789 revolution. In fact, the new state was using the Guillotine to get rid of all kinds of opponents. The semantic root of „terrorism“ is from a way of govern, using fear to keep control on people. From a way to keep and protect the state, it went later a tool to call into question the power. Let’s say that is a tool, a nasty political tool. Most of the french dictionaries include in the „terrorism“ definition, the possibility of using the „terrorist tool“ by states OR opponents. Apparently, this is not the view of the European Commission wich claim that terrorism consist in „any offence committed intentionally by an individual or a group against one or several countries, their institutions or their populations, and aiming at threatening them and seriously undermining or destroying the political, economic or social structures of a country.“ This definition, wich change easily any activist into terrorist (even more „anarchist activist“ wich in principle want to overthrow states) fits the french state. Ideed, the penal code define you as a terrorist as soon as you are „connected with any act intended to trouble seriously the public order using intimidation or terror“. Notice that the „Informal Anarchist Federation“ is designated as a terrorist organization by the European Union. 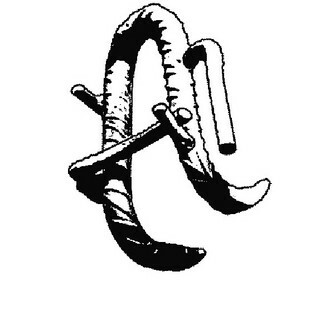 Have you ever heard about any „Informal Anarchist Federation“ elsewhere ? Obviously not, because this is only existing in state intelligence services‘ files. A „box“ to put troublesome people and drawn up a „terrorist threat”. The first occurence of the „Mouvance Anarcho Autonome Francilienne“ (MAAF) went during the spring 2007, in some right-wing newspaper. What a coincidence, the new Sarkozy’s government just seted in. It seems that Michèle Alliot-Marie, since then minister of the Interior, invented with some help from the intelligence service* the new public enemy. During a while, this MAAF had existed in the media witout arrest, only the inteligence services had kept a watch over this „mouvement”, and more precisely over the people supposedly involved in it. The threat within start to get faces in january 2008. All of them went behind bars… On the 19th of january, Ivan et Bruno are accused of transporting a nailbomb, although they were on the way to a demonstration against detention centres carrying home made smoke powder and bent nails (to slash tyres)***. Some days later, Isa and Farid were arrested by a border patrol, during a road-check in the countryside. In their car, cops found chlorate (to make smoke powder), a map of a youth prison, and sabotage guides. They’re emprisoned under the anti-terrorist jurisdiction. During the custody, the cops pretend that Isa’s DNA is the same than one founded on a bag holding petrol bottles under a police tow truck during the last presidential elections. Later, using the „absolute” DNA evidence, police accused Damien and Juan as well. After four months, Farid, Ivan and Bruno went out under strict judicial review and house arrest from 9 pm to 6 am. At the same time, all those investigation went into one. Accordind to the anti-terrorist jurisdiction, all the people belong to the same terrorist organisation : the MAAF. Here was the situation before the 11th of November 2008. Then went this huge political/police/media operation****. 150 police officers, most of which belonged to the anti-terrorist brigades, came to arrest 9 people sleeping in their houses in the tiny village of Tarnac, and to search any kind of evidence against them. 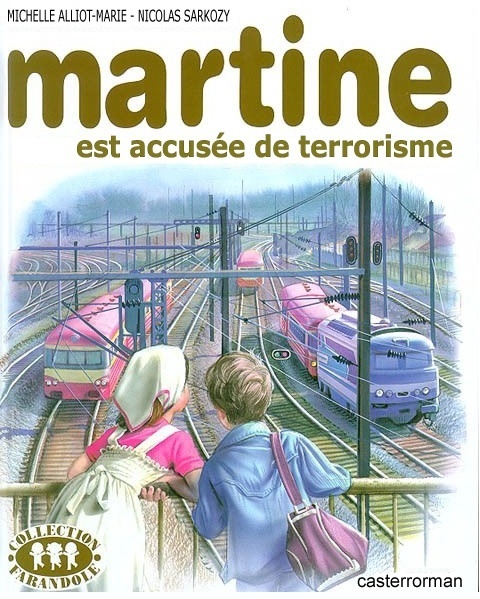 All that under TV cameras and, at the same time, Michele Alliot-Marie, the minister of the Interior, was holding a press conference explaining they dismanteled the dangerous terrorist organisation wich sabotated the french railways lines a few days before. In this case, one might expect that investigators found weapons, explosives and Molotov cocktails. Instead of that, anti-terrorist officers discovered : train schedule, climbing gear and some ”subversive” books (wich you can find in bookshops). The main evidence is an anonymous booklet : The coming insurrection. Quickly the inconsistency in the accusation of sabotaging French railway lines is obvious and the only ”incriminating evidences” are a text and a way of life. In fact, those people were living in community, running the local grocery store, and some of them (mainly the supposed boss of the Anarcho-autonomous terrorist organisation, Julien Coupat) graduated high studies wich leads to suppose they write texts. Here the explanation of the authorities‘ behavior by Christophe Chaboud, head of Counterterrorist coordination Unit since may 2007 : ”Their attitude, their way of life, show well those people want to disconnect with the society. They want to turn their though into acts, while preparing for a clandestine life. It is important to get an overview and no not consider the events apart. The work we made on this cell incite us to arrest them before it’s too late. Here is a combination of behavior, speech and acts… Here is a dangerous logic. Then, it was justified we decided to neutralize them preventively, before they comit a crime”. Our living conditions, always more insufferable, rest on fear. Fear of being jobless, or to being unable to make ends meet. Fear of police, fear of jail. Because somehow, the billy club and his acceptance guarantee social interactions. * since july 1, 2008 is called „Direction Centrale du Renseignement Interieur” wich agregate all the french intelligence services among wich the famous „Renseignements Generaux”. Hello to all the friends, to all the people who haven’t accepted the situation that we live: the occupation of the streets and towns by the police, evictions, raids, arrests, daily difficulties, dispossession of our lives. This situation that pushes us to give away a big part of our lives to all kind of bosses, to those who decide of our destinies, to the power upon us. When we side with the revolt, we do it for all these reasons. We do it to take back power on our lives, we do it for the freedom of living. We’ve been arrested on January 19th. Two of us are in jail, while the third is under a judiciary control (he was passing by and was guilty of knowing us). We were carrying a smoke-bomb that we had done by mixing chlorate, sugar and flour. Burnt, this mix releases an important amount of smoke. We wanted to use it at the end of the demonstration that was going that day towards Vincenne’s detention center for migrants. Our aim: to be visible from the locked-in sans-papiers, knowing that the police would try to prevent us from approaching the centre. We also had firecrackers to make noise and bent nails (to burst tyres) that could be put along the road to prevent cars from passing. For cops and justice, this excuse was found: we had the material to make a nailbomb. This is what we are charged of: – possession and carriage, in organised gang, of explosive or incendiary material, or components of explosive or incendiary material, with the goal to organise a destruction, or agression on people; – criminal association with the goal to commit destruction using fire, explosive material, or any other way which could create a danger for people, in organised gang; – refusal to give fingerprints or be photographed during an ID check; – refusal to submit to the biologic taking aimed at the DNA identification of people suspected of crime; It’s quite frightening. So much for the facts. Let’s add a bit of anysis to it. The way we’re being treated is surely not related to what we had with us or to what we wanted to do with it. The state is criminalizing revolts and tries to kill any « non-aligned » dissidence. It is our very ideas and ways to struggle (outside of political parties, trade unions, or any other organisation of this kind) that are being targeted… Facing anger that it doesn’t manage to supervise or integrate, the State points out and isolates an enemy within. The police and the secret service files are building « profiles ». In our case, it is the « anarcho-autonomous » figure that’s being used, which authoritieses relate to terrorism. They need to build a threat to create consensus within the population, to strenghten their control and legitimate repression. That’s why we are in jail. This is the solution the State chooses, to deal with illegalisms and so called «risky populations». Now, the motto is «lock in more and longer». More and more efficient controls. Scaring punishements are here to make us know that we should stay put on the place given. This atmosphere guarantees for those who have or take advantage of power, a society in which everybody is aware that we can’t cross the lines which have been drawn for us, which are surrounding us, which are compressing us; not without paying an high price. We struggle with migrants, because we know that it is the same police that is controling, that it is the same boss who is exploiting, that these are the same walls imprisoning. The day we tried to go to the demonstration, we wanted to shout « Freedom » in echo with the prisoniers, to show that we were many to hear them revolting these last months. We wanted to light a smoke candle, to try to get as close as we could from the prison gates, to shout «no more detention centers», to show our determination to live free. This struggle, in which we can see ourselves, is a common ground to build complicities; it is a way to express our own revolt. We don’t consider ourselves like «victims of repression». There is no fair repression, no fair imprisonment. There is just repression, and its fonction of control, its role in maintaining established orders: the power of those who possess against the dispossessed. When everobody walks in line, it’s easier to strike those who go out of it. We hope that we are many, wishing to own our lifes fully, sharing this desire to build and interweave solidarities which will +give birth to upcoming revolts. Bruno and Ivan, from the jails of Fresnes and Villepinte (close to Paris), april 2008.